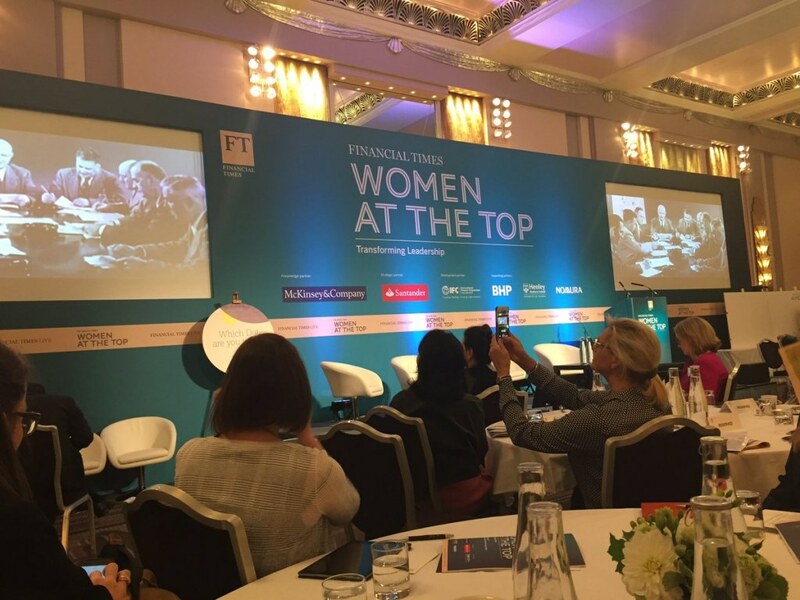 Financial Times welcomed delegates to the Women at the Top Summit last week, at Sheraton Grand Park Lane Hotel to discuss the gender pay gap, Trump’s presidency and how to fix the gender imbalance in business. Opening remarks were made by Angela Mackay, Chair of Women at the Top, welcoming guests to the event, alongside Roula Khalaf, Deputy Editor of Financial Times. 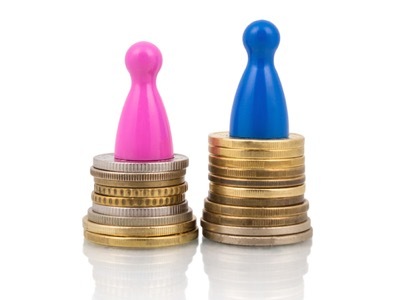 They introduced Justine Greening, Secretary of State for Education and Minister for Women and Equalities, who told the audience that gender pay equality was a ‘ticking clock’. How companies would be evolving over the upcoming years was a theme of the morning sessions, with the next three panels focused around that topic. 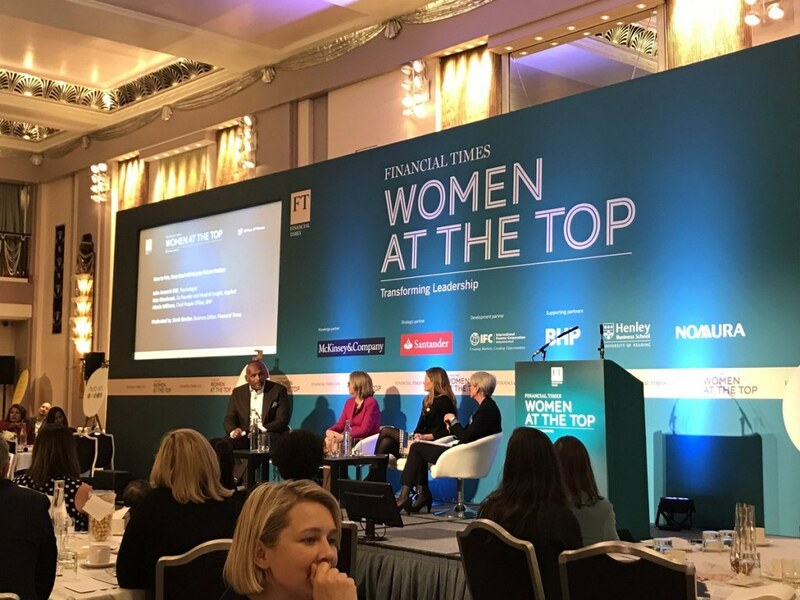 Mark Wilson, Chief Executive Officer for Aviva, was joined on stage by Paris Petgrave, Co-Founder and CEO of We Love Work, and Baroness Dido Harding, the Non Executive Director for Bank of England in a panel moderated by Andrew Hill, Management Editor for Financial Times. The Chief Executive made further valid points about diverse hiring: “Culture eats strategy for breakfast. Give your teams targets, not quotas. 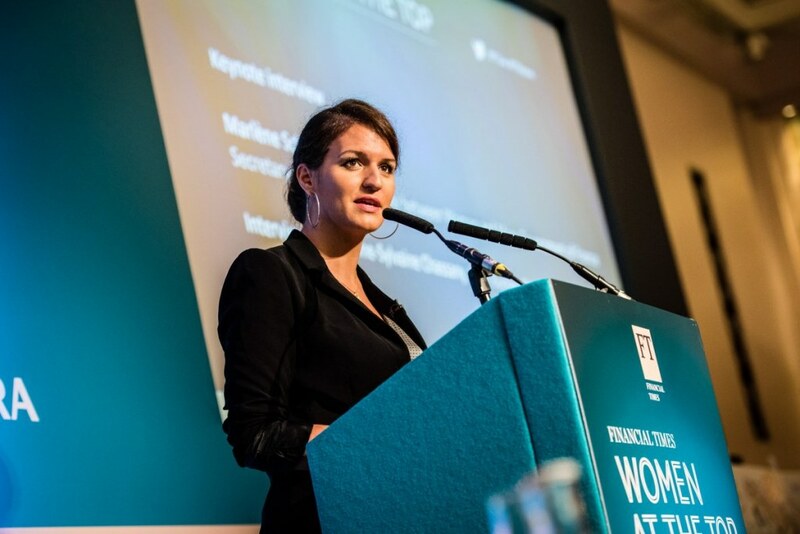 A keynote interview with the youngest minister in Macron’s government took place next, as the floor was given to Marlene Schiappa, Secretary of State for Equality between Women and Men. Interviewed by Anne-Sylvaine Chassany, Paris Bureau Chief for Financial Times, the minister discussed inequality in the workplace, and how France is addressing these issues. She began by addressing a workplace stereotype that she feels is dated: “Women aren’t gentler, and no, we can’t make coffee better,” before explaining that she believes in naming and shaming companies as much as naming and honouring them. Schiappa backed this up by telling a story where the Government of France shamed three large companies who refused to go to a diversity workshop to improve their companies gender imbalance. Next, Vivian Hunt, Managing Partner for McKinsey & Company UK and Ireland took the floor with an eye-opening power-point presentation about how inclusive leadership will lead to inclusive growth. Her slides showed tremendous benefits of having a diverse workforce. Delegates then enjoyed a coffee break, where they could network with other guests, walk around the magnificent rooms of the Sheraton Hotel and take in the positive messages displayed across the walls. Some read ‘I have knowledge’, whilst others said ‘I am value, and I have something to contribute’. Attendees were also invited to put questions to speakers and panelists via the Financial Times app, or in person, during a Q&A session after each segment had finished. Before lunch, the topics moved from the UK to a global agenda, with a debate about Donald Trump’s presidency, two panels regarding how companies are addressing inequality worldwide and a passionate speech from Helena Morrissey DBE, Head of Personal Investing, LGIM, and Founder of the 30% Club. A debate between Anne-Marie Slaughter, President and CEO of New America and Miriam Gonzalez, Partner, Dechert; Founder and Chair of Inspiring Girls, moderated by Financial Times Leyla Boulton, addressed why so many white women voted for Donald Trump in the presidential election. The next panel, moderated by Silvia Pavoni, Economics Editor, The Banker, saw a discussion between Amee Chande, MD Global Operations and Strategy for Alibaba Group, Laura Haynes, Chair of UN Women National Committee UK, and Nena Stoilkovic, Vice President, Blended Finance and Partnerships, IFC. The final panel before lunch questioned what companies could do to get more women on boards and in executive management teams. 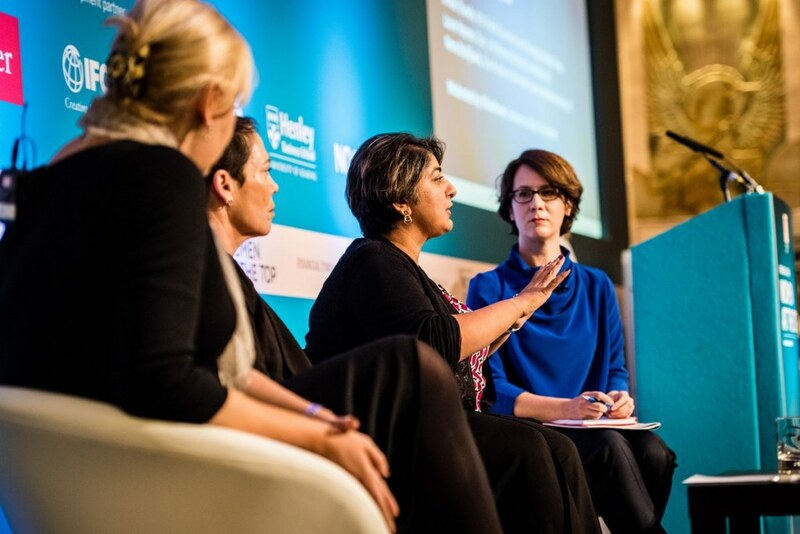 It consisted of Turid Elisabeth Solvang, Women on Boards, Clara Gaymand, President of Women’s Forum for the Economy and Society, Vicky Wallis, Santander UK, and moderated by Leyla Boulton, Financial Times. Questions from the audience praised Santander UK’s Vicky Wallis for her no-nonsense approach and dedication to diversity and equality within Santander UK’s boards. Over lunch, delegates were treated to light refreshments and could enjoy networking with their peers. Guests could also look at two illustrators work on the summit, created in a collage of speech bubbles, colour and pictures. Returning after lunch, Carola Hoyos, former editor of FT Executive Appointments and Simona Barbieri of Hub Dot introduced a storytelling segment, which introduced audience members to the stage to form a panel, and share short, personal stories about championing women and making a difference. Using the circular ‘quote boards’ that were scattered around the hotel, women took to the stage one by one to share their thoughts. Stories ranged from a woman working on equality in Tanzania and Palestine, to Maggie Pedersen, who shared her desire to ‘write a new story, a new story for me, a new story for women in business’. Two more panels were held in the afternoon; one on the UK’s technology sector, with speakers from Innovate UK, Open Bionics and BlackLine, discussing the barriers female-led tech companies face, built-in gender bias and ways in which tech companies can recruit more women. The second panel featured John Amaechi OBE, Kate Glazebrook, Co-Founder and Head of Insight at Applied, and Athalie Williams, Chief People Officer for BHP discussing blind hiring, bias training and making sure companies hire trailblazers for the future. 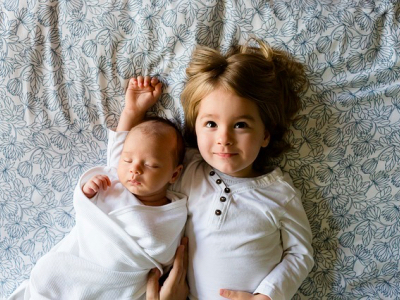 He concluded by saying that ‘the best teams have never been about everyone being the same’. Other talks throughout the afternoon include: How science got women wrong with Angela Saini, Science Journalist, author and broadcaster, How to break the glass wall with Sue Unerman, Mediacom and Kathryn Jacob OBE, Pearl & Dean and The gender pay gap: How to close it, with Tanuja Randery, Former President, UK & Ireland, Schneider Electric, Paul Smith, Salesforce and Iris Bohnet, Harvard Kennedy School. Delegates enjoyed passionate, receptive and empowering talks from each of these groups in the afternoon. 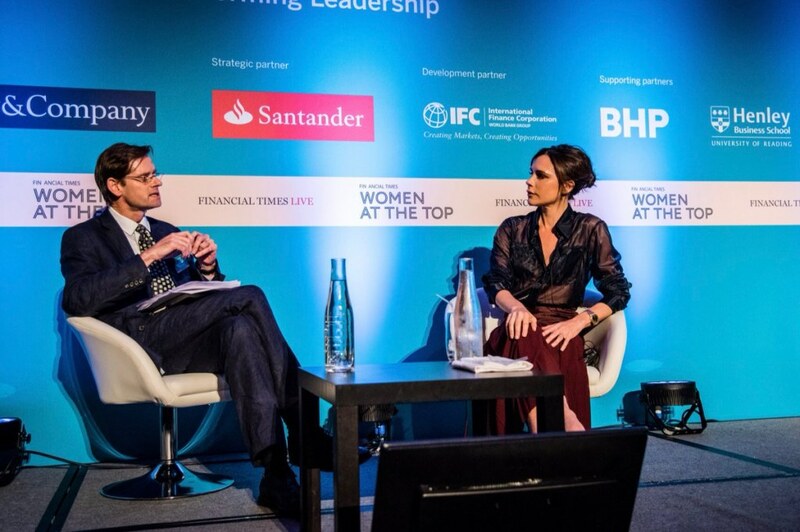 Closing the summit was Victoria Beckham OBE, Creative Director of Victoria Beckham, who shared advice and wisdom with delegates in a special keynote interview with Alec Russell, Editor of FT Weekend. The businesswoman told the audience that her future goals were to ‘make sure women feel the best versions of themselves’, and listed her top advice for those wanting to get into business. 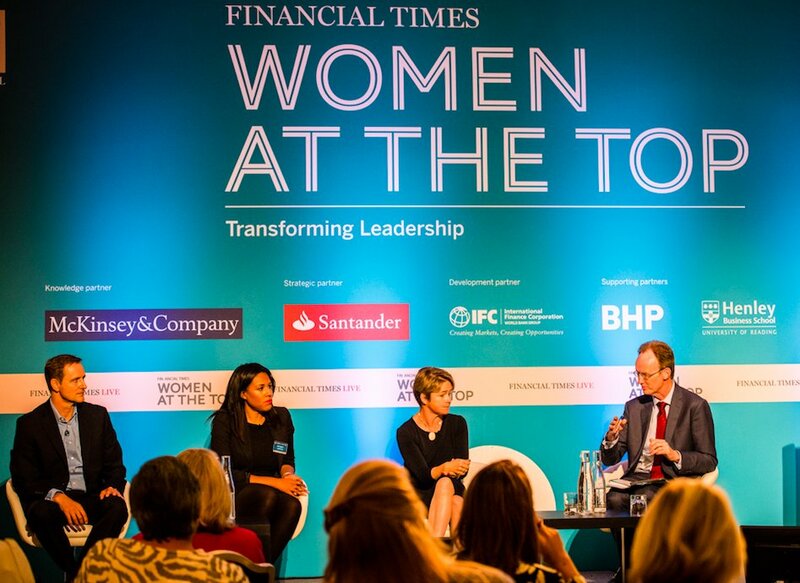 The summit saw over 200 attendees from across a variety of industries and a range of companies including Financial Times, JP Morgan, The Times, Shell, Aviva and UN Women. 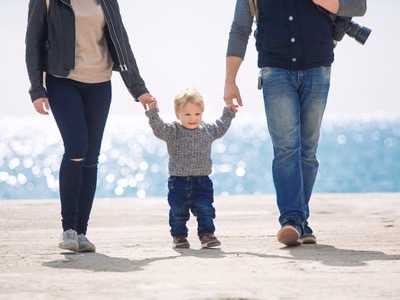 It was aimed at men and women in business who were looking to help find ways to fix the gender imbalance in the top ranking businesses, discover how to effect change, and build career networks. 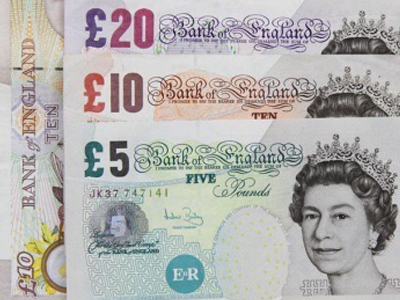 Previous Post100 Great Black Britons campaign is relaunched to celebrate 30 years of Black History MonthNext PostShould you take a promotion for a job you don’t like?